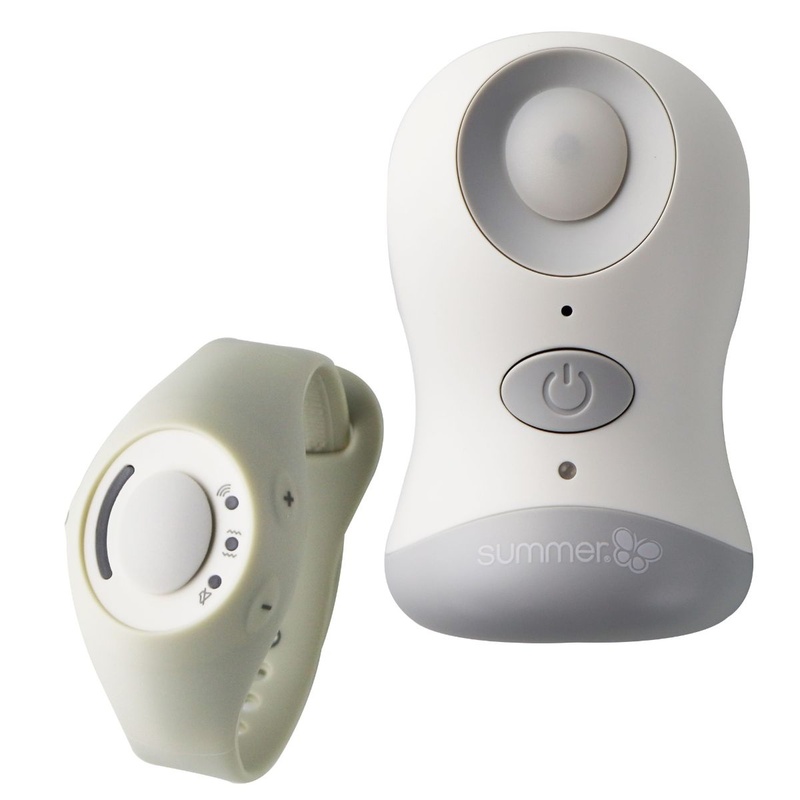 Summer Infant products, The Babble Band Wearable Audio Monitor with 800Foot Range. White color design. No smart device required. - Hear baby's babbles with an adjustable wristband. It fits both mam and dad comfortably. - Provides up to 8 hours of continuous monitoring. - Center button activates the special "listen in" feature. - 2.4 GHz digital technology for a clear and secure connection.